Wing Zone, Wingman and WingFiesta. And, oh yeah, WingNutz. Chicken wing franchises are now among the hottest in the restaurant industry. There are at least 20 chains, and together they make up nearly 2,000 restaurants across the United States. Add independent wing restaurants, and the count might double. Wings were once the least desirable part of the bird. But because they were cheap, bars started using them in the 1980s as a spicy appetizer to keep beer-guzzling customers thirsty. In the 1990s, restaurants increased portion sizes and turned wings into a standalone meal. Entrepreneurs quickly saw the potential. "Our founders saw a great opportunity to capitalize on a product that was low-cost. We've made our business from a fall-off product," said Charlie Morrison, president of the Wingstop chain, which started in 1994. 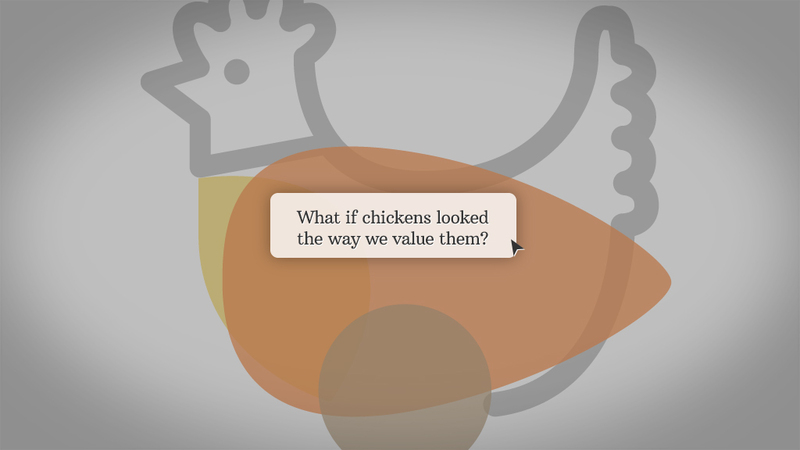 Related interactive: What if chickens looked the way we value them? In the past decade, Wingstop has grown from 90 units to 580, and nearly all are franchised from its Richardson, Texas headquarters. The privately-held company now rakes in an estimated $450 million in annual revenue, according to industry analysts at Technomic. That puts Wingstop in second place behind Buffalo Wild Wings (BWLD), which started trading publicly in 2003. Its stores have nearly quadrupled to 891, with annual sales approaching $1 billion. Buffalo Wild Wings recently announced a planned flagship restaurant in Manhattan's Time Square. According to FranData research analyst Kate Zhang, chicken wing franchise units have grown at an average of 4.1% a year since 2008, outpacing burgers and frozen yogurt -- and the fast food industry as a whole. U.S. farmers slaughtered 8.4 billion chickens last year. Some wings stay on the bird for whole rotisserie chicken, which leaves 13.5 billion wings sold individually, according to the industry's National Chicken Council. Each wing gets cut in two pieces -- a two-boned flat and one-boned drumette -- so from the American consumer's point of view, that's 27 billion wings a year. But such massive production isn't enough. 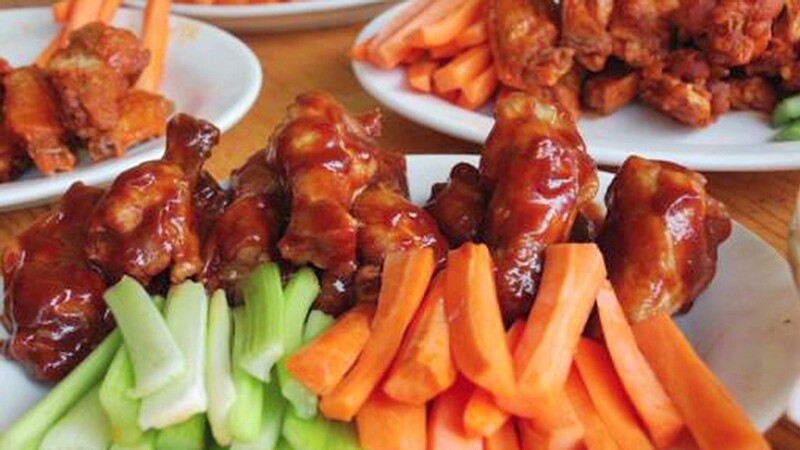 There were wing shortage scares in 2009, 2010 and 2013, usually around the Super Bowl in early February. On that weekend alone this year, Americans consumed 1.23 billion wings. Even vegetarians are demanding wings -- so much so that the Atomic Wings chain in New York City offers one made out of soy. But can you run a legitimate businesses on just wings? Kurt Hodermann wasn't so sure. In 2011, he owned six Subway restaurants in Milwaukee, Wis., and was looking to diversify his business. He considered opening a Wingstop but initially thought its menu was too narrow. However, that very simplicity eventually won him over. Fewer menu items means less hassle preparing foods, hence fewer employees. "Anytime you get that kind of sales volume out of a smaller footprint, you get a winning formula," said Hodermann, who now owns three Wingstops. "We don't have a huge menu, but what we do is perfect." For restaurant owners, though, that concentration also brings risk. Skyrocketing demand and quickly expanding store chains have driven up the wholesale price of a pound of wings by 25% between 2010 and 2012. For a brief moment during the Super Bowl this year, the wing even became the most valuable part of the bird (by the pound). "That's the risk you run when you specialize," said Scott Ballard, co-owner of WOW Cafe All-American Grill. His chain, formerly World of Wings, has since expanded its menu. Making matters more difficult, farmers refuse to slaughter more chickens just for their wings, said Bill Roenigk, National Chicken Council's staff economist. And farmers are increasingly demanding that restaurants buying wings purchase the entire chicken too, said Darren Tristano, a consultant with Technomic. An additional strain on supplies looms on the horizon. McDonald's has added wings to its menu at 500 restaurants near Chicago, and there are rumors the company will roll them out nationwide later this year. Jonathan Maze, editor of the Restaurant Finance Monitor, framed the problem like this: "While farmers have been able to raise big-breasted chickens, until someone comes up with a six-winged frankenchicken, the supply of wings will be naturally limited." Poultry farmers take note. Customers beware.